"This is a brief note to ECOsmarte to let them and all their current and potential customers know, what a wonderful product their water purification system is. We purchased our spa and purification system in June of 2000 and I must admit, were quite skeptical of the whole “chlorine-free” claim. Well after 3 years of usage we are no longer skeptical. 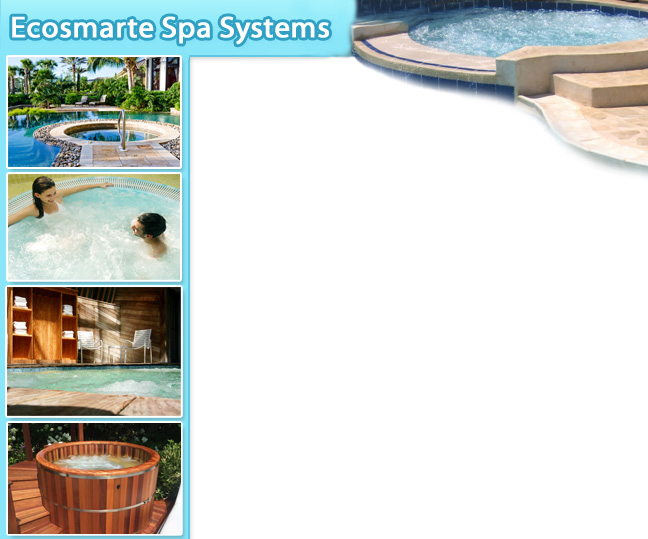 We are advocates of the system and offer up our story to anyone who we know to be considering purchasing a spa or pool system. We love the simplicity of the maintenance and obviously adore the fact that we are not subjecting ourselves, our family or guests to toxic chemicals. run. You will save money, and the environment. is completely natural. Prevents Mold buildup on covers and wooden hot tubs. effective then bromine and salt water systems. Ideal for wooden hot tubs.